Former English national team coach Sven-Goran Eriksson has claimed he signed a contract with Manchester United to become their next manager, according to thesportsman. It is barely two months into the new season, and Manchester United have found themselves in the middle of a crisis. Jose Mourinho’s men have been performing way below their standards, and the manager has come under intense scrutiny with several reports claiming his days at the club are numbered. Before the match against Newcastle United last weekend, it was reported that the Portuguese manager would be relieved of his duties irrespective of the result as Zinedine Zidane had been lined up as his successor. This came as a shocker to many, but it would interest you to know that it wasn’t the first time the Manchester United board would be pulling such stunt. In 2006, during Sir Alex Ferguson’s reign at the Old Trafford, United had lined up a former England coach Sven-Goran Eriksson as the Scottish manager’s successor as Ferguson pondered stepping down. Ferguson had previously made claims he was leaving United, particularly in 2002. Nonetheless, his departure seemed likely in 2006 after failing to win the Premier League in three consecutive seasons. Despite having the likes of Paul Scholes, Ryan Giggs, and Ruud van Nistelroy in their ranks, United still lost the previous three titles to Arsenal and Chelsea. 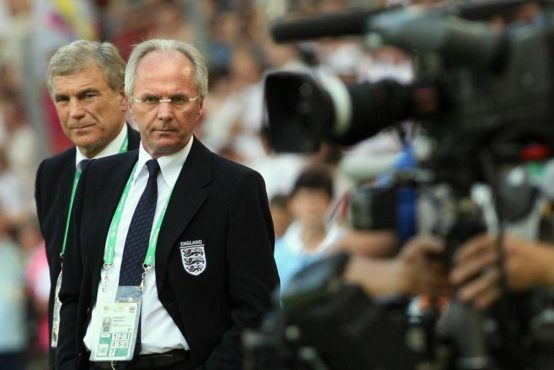 At that time, Sven-Goran Eriksson was the coach of the national team with a contract that expires after the World Cup in Germany. Yet, that didn’t stop him from signing a contract with the Red Devils. However, Ferguson would go on to stay for another seven years at the club before finally retiring in 2013. Upon retirement, Ferguson handpicked former Everton boss David Moyes as his successor. Unfortunately, Moyes would be sacked before the end of his maiden season following strings of dismal displays from the same group that won the English Premier League by a landslide a season before under Ferguson.